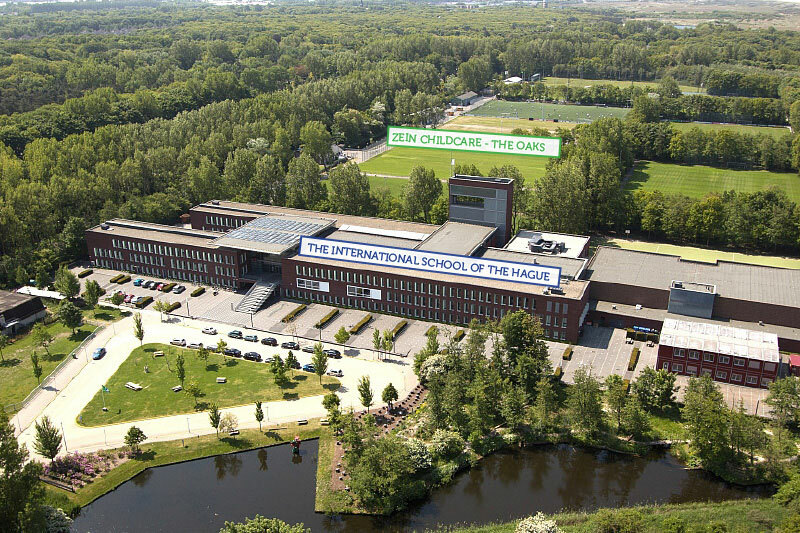 Zein's Out of School Care provision for the International School of The Hague has recently moved to brand new premises, including a brand new natural playground, conveniently located on the sports fields directly behind the school. 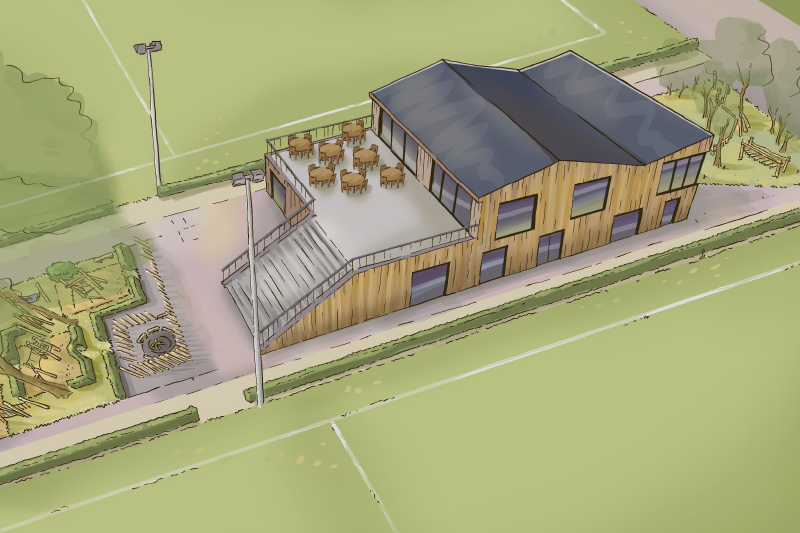 The new club house building for Die Haghe Football Club has been designed from the outset for multipurpose use. 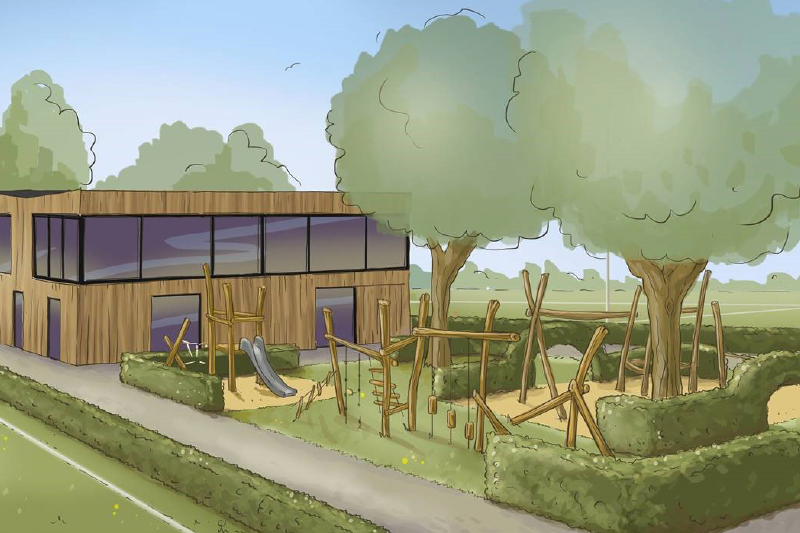 The top floor serves as the club house for the soccer club, whilst the majority of the ground floor is for the exclusive use of Zein Out of School Care children aged 4-12 from the International School. 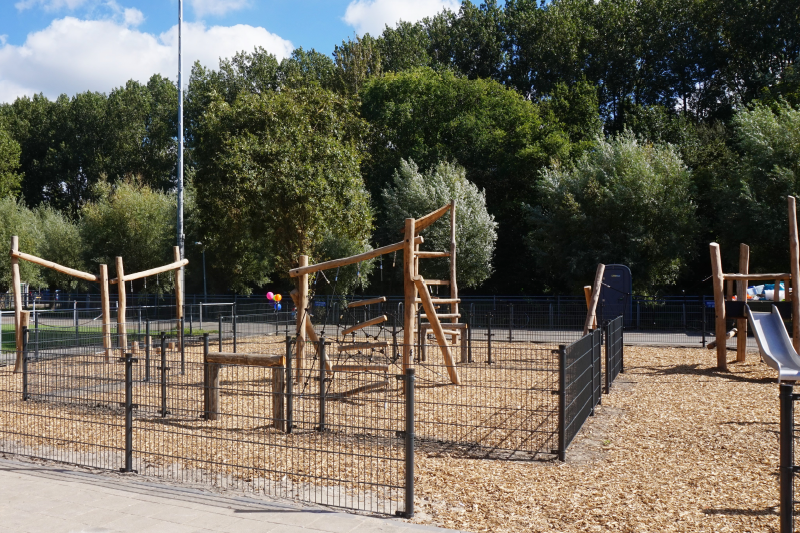 The interior décor and chunky wood furnishings offer the same homely feel as the other Zein locations and anatural playground, consisting of a wide range of wooden play equipment, complete the facilities at this great new location. Multiple Pick Ups: The activity programme is wide and varied at Zein, but we understand that some children have specific interests and greatly enjoy taking part in the after school clubs provided by the ISH. To ensure that children do not miss out on any school organised extra-curricular activities, Zein arranges later pick-ups from school as required. The Oaks is located in the Kijkduin area of The Hague, immediately behind the sports fields to the rear of the International School of The Hague. Zein has exclusive use of the ground floor of the Die Haghe Sports Club Clubhouse, which is located between the playing pitches. When turning onto the Wijndaelerweg, drive past the turning for the ISH on your right and continue for a further 250 metres. The entrance to the Die Haghe Sports Club can be found on your right. There are a few parking spaces available in front of the entrance to the Sports Club, but there is plenty of onroad parking available before and after the entrance. Bus 31: disembark at stop 'Ockenburghstraat' and you will have a 11 minutes' walk to The Oaks. Tram 3: disembark at stop 'Pisuissestraat' and you will have a 10 minutes' walk to The Oaks. Zein After School Care is open Monday to Friday on all International School school days. Zein After School Care Centres: after school until - 18:30 hrs.